In The Path, we spotlight different women making a difference in the beauty and medical aesthetics industry. Here, they share their road to success. Brit Morin is all about taking things that, at first glance, seem impossible, and making them look easy. Her multi-platform media company, Brit + Co, is a mecca for lifestyle how-to’s, providing its readers with the information they need to turn their creative dreams into realities. “At Brit + Co, we look at beauty through a creative and utilitarian lens, so we not only tell you about the ombre nail trend, we show you how to get it too,” she tells Spotlyte. The whole “making it look easy” thing extends into her own life, too. After spending years in the tech industry at notable companies like Apple® and Google™, she decided to strike off on her own — and the idea for Brit + Co was born! Here, she reveals how she built her company from the ground up (or, as they say in the crafting world, “from scratch”), and the skincare products and treatments she relied on to look fantastic while doing it. Spotlyte: What inspired you to start Brit + Co? 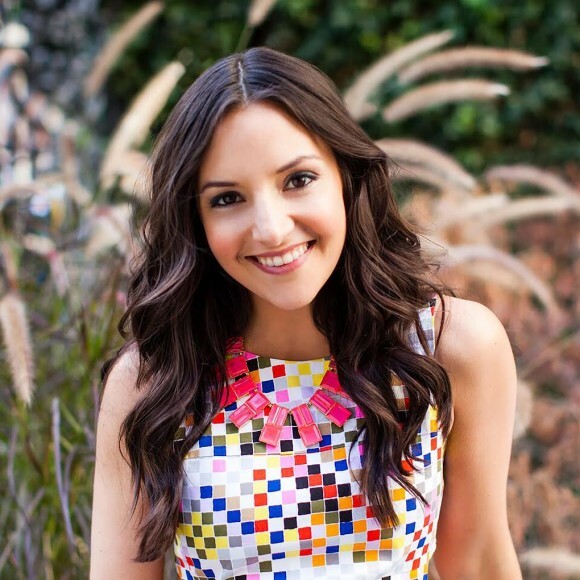 Brit Morin: After spending some time in the tech world working at Apple and Google, I decided I wanted to go off on my own. I was getting ready for my wedding and joined TechShop in San Francisco to create some of the decor myself (it was basically like a gym-membership for making). So many of my friends said to me, “I can’t believe you’re making all of this, I’m not creative at all!” At the same time, Pinterest was gaining popularity and those same friends were pinning recipes and DIY home decor. That’s when I realized that young women needed a place to go and realize their own creativity — somewhere to be inspired and to be encouraged to give things a try. And so, Brit + Co was born! Spotlyte: What was it like to start a media company from its infancy? What were some of the biggest challenges you faced? When was the moment when you felt like you'd really "made it" with the site? BM: No matter what the industry, starting your own company is hard. From deciding what it should be, to raising capital, to moving forward despite all the naysayers, it’s not for the faint of heart. Since I am part of the brand and started the company at age 25, it was particularly challenging at first to not take criticism personally. But I really believe in our mission of encouraging women and that has helped me to continue move forward and look at each day as a learning opportunity. I’m a perfectionist and someone who is always hungry for growth, so I don’t know if I will ever have a moment where I feel like I’ve “made it.” That being said, a couple surreal moments have been releasing my first book Homemakers, appearing on morning shows like Good Morning America and the Today Show, and having incredible women like Tyra Banks and Allison Williams speak at our events! Spotlyte: What role does beauty play in your life? BM: In addition to running a company, I have two toddlers at home, so I try to keep my beauty routine simple and effective. I want to feel good from the inside-out so I usually start my days with a run or yoga, followed by a green juice and some Ezekiel toast (it's made of nuts!). I use just a few really effective products and my daily makeup routine is pretty simple, but I love getting glammed up for photo shoots and TV appearances. I'm also BIG into skincare products and love trying all the new trends, from sheet masks to nail art. To me, beauty is just another fun way to get creative and express yourself. Spotlyte: Why was it important to you to make beauty a big part of the content you were putting out on the site? BM: We’re all about using creativity to live your best life, and that definitely applies to beauty! Brit + Co both informs our audience of the trends and shows them accessible and affordable ways to recreate them. Beauty itself is a creative outlet, and looking your best gives you confidence, so this was important for our mission of encouragement. Spotlyte: How do you think Brit + Co is changing/shaping some of the conversation around cosmetic injectables? BM: At Brit + Co, we try to give our audience all the information they need to make the best decisions for themselves across topics — whether it’s around health, women’s issues, or home decor. Our content around cosmetic injectables is no exception. We don’t judge, we support our community and we want to give them all the resources they need to shape their best lives. Spotlyte: What does your at-home beauty routine look like? BM: On the skincare side, I keep it pretty simple: every night, I use a cleanser, followed by eye cream and my (fave) facial serum from Vintner's Daughter. About once a week, I'll do a deeper exfoliation and face mask. As far as makeup goes, I always apply SPF before anything else. I typically do minimal makeup by day and even less on the weekends. And I try to keep my nails looking good; but the truth is that I'm constantly making things, so bare fingernails are sadly my norm! Spotlyte: What are some of your favorite skincare products? BM: My absolute favorite product is Vintner’s Daughter. It’s a super active botanical serum that has 22 powerful ingredients and takes care of so many skin issues. As I said, I’m all about simple and effective. I'm also a huge fan of everything that Tatcha makes. Hey, if they are taking learnings from the gorgeous Japanese geishas, then I'm all in to jump on that train. Spotlyte: What med spa treatments, if any, have you tried? BM: I've tried laser treatments. I've lasered away the hair on my underarms and legs, and it's amazing to never have to shave. I've been really impressed with my armpits in particular. I got them done in college and haven't had to get a touch-up since then! Spotlyte: Do you have any advice for women looking to start using cosmetic injectables? BM: I defer to each woman to do their own research and decide if it's for them or not. Spotlyte: What other beauty treatments do you swear by? BM: I'm a big fan of facials, though I never seem to have enough time to get one (#momlife)! I've also tried eyelash perms and found them very effective for my super straight lashes. I'm a believer! Spotlyte: What advice do you have for women who want to start writing about beauty? BM: I think women who want to write about beauty should focus on having their own voice. There is so much beauty content out there that the only way to break through is to be authentic and unique.